SunrisePOS and More, Inc. | Restaurant POS Systems - SunrisePOS and More, Inc.
SunrisePOS and More makes buying your first or next Restaurant POS System – a SNAP! SunrisePOS has been offering pre-configured and ready to use out of the box as well as completely custom Restaurant POS Systems for over 17 years now. With thousands of customers in the US and world-wide using our solutions today, you can count on the fact that your business is always in very good hands. We have “Ready – Out of the Box” systems that make self installation a snap for restaurants of any size or amount of stations or locations. Or we can put a completely custom solution together to fit your exact business needs. We handle it all! From Frozen Yogurt POS Systems, to Quick Service and Casual and Formal Dinning Restaurant POS Systems, Pizza POS Systems, Bar and Night Club POS Systems and EVERYTHING in between. Feel free to CONTACT US anytime to compare our solutions to that of ANY competitor. Need professional on-site installation and training services – just about anywhere. SunrisePOS has you covered. We have thousands of restaurants all over the world running on our solutions – CLICK HERE to see a few! AND YES.. LIVE 24/7 US BASED TECHNICAL SUPPORT from a friendly and knowledgeable support technician – whenever you need it. STEP 1: With SunrisePOS – We will start out with the most crucial part of the POS system – The “Heart” of the POS system – The Software. 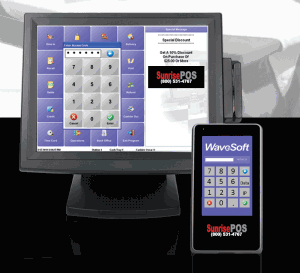 With the one of SunrisePOS Approved Restaurant POS Software Applications – you can be confident that you have a restaurant POS software solution that is easy to use, feature rich and super stable. You can be up and running in a matter of days and not weeks and for years and years. SunrisePOS takes a very consultative approach to each individual client to insure that the solution that is delivered is the perfect match for that businesses needs b both today and tomorrow! “Front of the House” to the “Back of the House” to Wireless and Mobile Restaurant POS Solutions – Online Ordering options and much more. The Restaurant POS Solutions that we offer can handle ALL of your feature needs. An Easy to Learn and Easy to User Interface, Simple Functionality yet Extremely Powerful, Complete Labor Management and Scheduling, Customer Management with Loyalty Programs, Gift Card Management, Full Inventory Control, Full Floor or Bar Lay-out or Simple Quick Service Layout, Add or Edit an Items in Seconds, Incredible Reporting with easy MS Excel Export Feature or Cloud Reporting Option, Secure Remote Access, Discount Usage Tracking and much more.. CLICK HERE TO LEARN MORE! Or call us today toll free. (800) 531–4767. 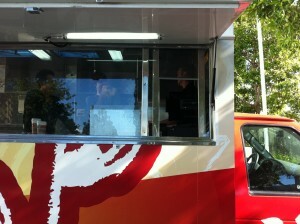 STEP 2: We will move on to the “Brains” of the POS system. This is a also a very crucial piece of your POS solution. Encrypted and Tokenized MRS’s for the most secure credit processing solution Available – $150,000 Insurance Included to Insure that your customers credit cards are secure from hackers and credit card fraud. STEP 3: We will make sure you have the PROFESSIONAL SERVICES you will need to insure that your Restaurant POS system is up and running quickly and efficiently. With EVERY SunrisePOS System we sell – you will receive a minimum 30 days of FREE 24/7 TELEPHONE AND REMOTE LOG IN SUPPORT to insure ALL of your initial and follow-up questions and concerns are answered right away – 24 hours a day – 7 days a week. Advanced POS System Training Also Available – Billed Hourly – ASK ABOUT OUR ALL NEW – LIFETIME EXTENDED HARDWARE WARRANTY OPTIONS! Everyone’s restaurants needs are different – please feel free to CLICK HERE for a free custom restaurant POS estimate. 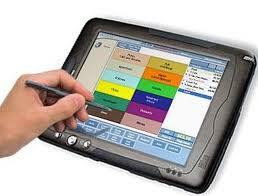 LOOKING FOR A RESTAURANT POS SYSTEM FOR A SPECIFIC MARKET?